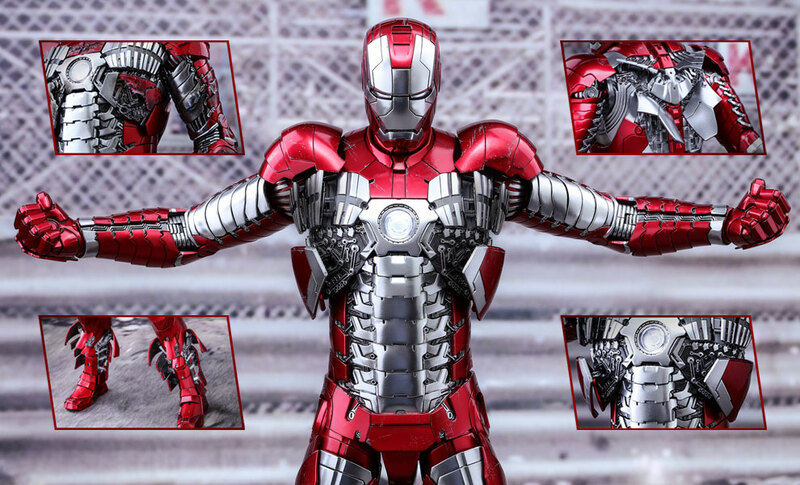 ABOUT THIS SOLD OUT STATUE One of the most beloved early classics by Hot Toys, the original sixth scale Mark V armor has long been a most sought-after and treasured collectible item for Iron Man fans and collectors. Sideshow and Hot Toys are proud to present a diecast version of the Mark V with upgrades, which marks the milestone of Hot Toys' 400th Movie Masterpiece Series collectible figure! https://www.sideshow.com/collectibles/marvel-iron-man-mark-v-hot-toys-902942/ HOW TO ENTER Are you ready to Let Your Kid Sideshow? To maximize your chances of winning, you'll need to tap into that boundless creativity you had as a kid! Check out the challenges below and let's see what you got! There are a BUNCH of ways to enter to win with our new contest platform, so you only have to use your social media accounts if you want to. It's completely optional, and there are plenty of chances to win WITHOUT using any social media accounts. However, we DO need your name and email address in order to notify you if you win! None of your information will be shared with any third parties or even added to our own newsletter, unless you choose to opt in as one of your contest entry methods. The coolest part of this contest platform is you have the option to be notified whenever we launch a giveaway, and there will be LOTS of them! Check out the list of all the awesome ways to enter and pick as many as you want!